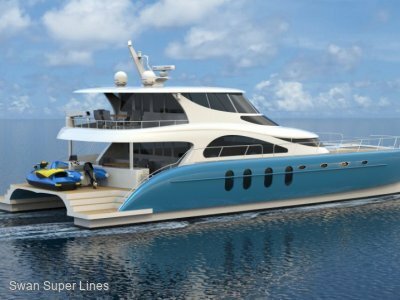 Why look at a 75' monohull for a live-aboard vessel and large entertainment area when you can buy the same features in a 57' Crusader Catamaran. Finally a boat doesn't pitch and hobby horse like all other boats....... The Crusader semi-swath catamaran. 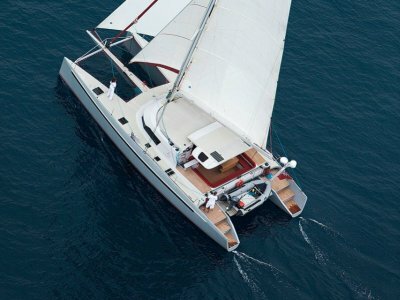 This 17.5m Power Catamaran is a hard chine, bulbous bows, with racked transom sterns. Geared for long range fuel efficient cruising, cruising speed 16 knots and sprint around 22 knots with 2 x 1960lt fuel tanks = 3920 lts total. Fly bridge deck- Control console to port access steps P&S to main deck Bench Seating for 8. Main deck- External - Trampoline area and seating for 8, Internal - Fore cabin Steps down P&S seating area for 6,1 x double, 2 x single fold down beds. 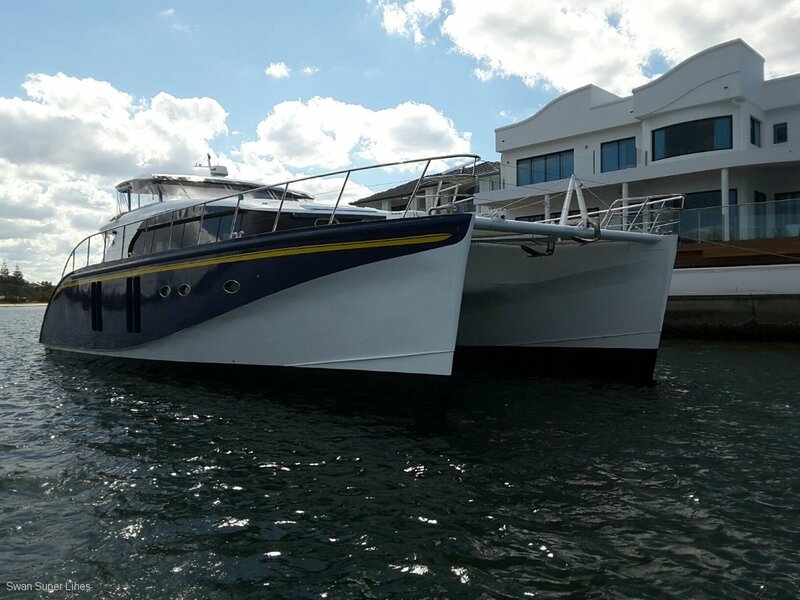 Main Cabin-table seating for 6 to starboard-Galley to port-Sliding glass/stainless bi-fold doors to aft deck. Aft Cockpit- tabled seating in aft cockpit for total 15 persons-access to duckboard to port-Engine hatches P&S. 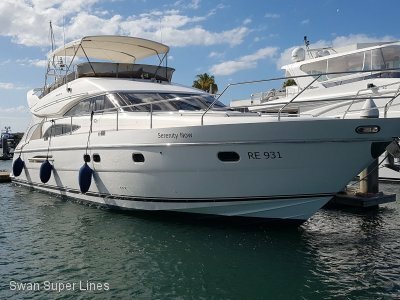 Demi-Hull Port-Spares and lifejackets-Access steps up to fore cabin- Storage area-Shower and toilet area-Access steps up to main cabin- Double berth cabin with storage. Demi-Hull Starboard-Shower/toilet-Spares area-Steps up to fore cabin-Plotting / chart / navigation station with red night lights, double berth cabin with lockers and drawers. 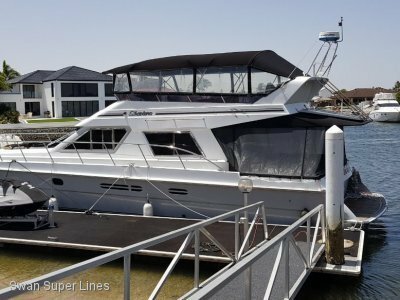 Boat is fitted out in saloon area with galley and appliances. Ready to have new owner décor and for cabins, much like a clean canvas to have your own input and style as well as an opportunity to live-aboard, diving, exploring and charter.